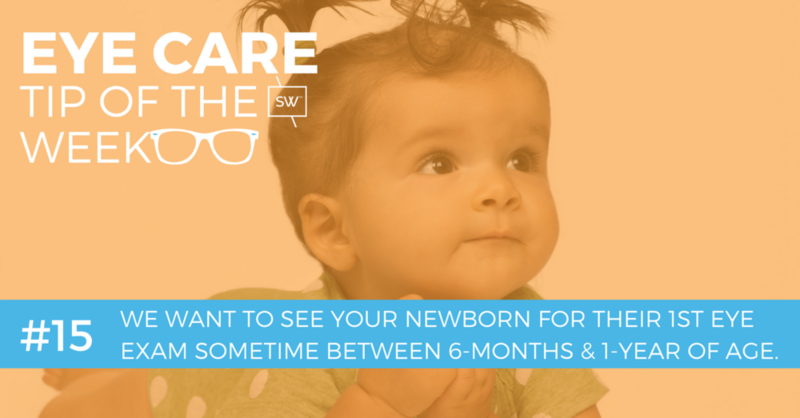 We want to see your newborn for their first eye exam sometime between 6-months & 1-year of age. Many parents ask us when they should bring their newborns in for their first eye exam. In general, we would like to see all newborns for their first eye exam sometime between 6-months and one-year of age. Having said that, if you have any concerns never hesitate to bring your newborn in sooner. Remember, all children in Alberta are covered under Alberta Health Care for an eye exam once a year, and for any eye health concerns, so please don't let cost be a barrier. To Learn more about children's eye exams, check out our Eye Exams for Children web page.